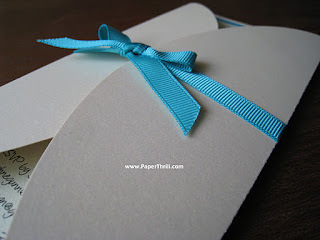 Minimalism and simplicity is what you get in this wedding card. The card is overlap and wrapped with a turquoise grosgrain ribbon around or you can opt for a satin ribbon if you prefer a more luxurious feel. 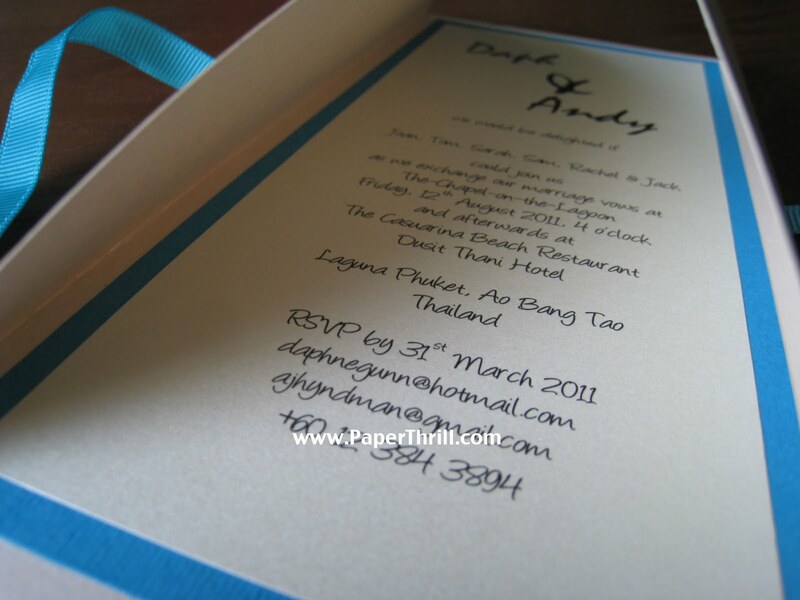 On the inside the card, the inlay is layered onto a matching colour base. i'm looking for about 180 cards. how much will each card cost? and how long will it take to prepare the cards upon confirmation of all details? eisheen: We've emailed you the details. Thx!